Conflict in marriage is not the problem. It’s how we deal with it that makes it a problem. 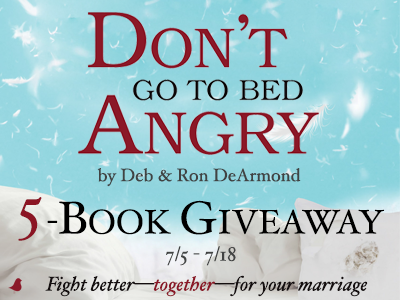 Learn how to deal with the conflict in Deb and Ron DeArmond’s new book, Don’t Go to Bed Angry. This is a book of tools, concepts, and worksheets designed to help each couple achieve the vision that God had when He placed Adam and Eve in the garden. Unity. Agreement. Power—found in marriage only when we authentically become one flesh. Deb and Ron demonstrate how communication through conflict can safeguard—and even strengthen—your relationship. 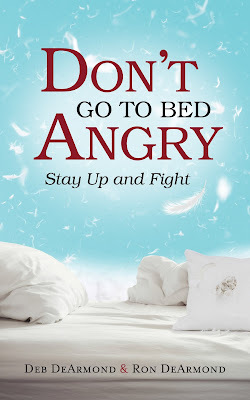 Enter to win a copy of Don’t Go to Bed Angry—five winners will be chosen! Click the image below to enter to win. The winners will be announced July 19th on the Litfuse blog! Deb DeArmond is an author, speaker, and coach with a focus on communication, relationships, and conflict resolution. 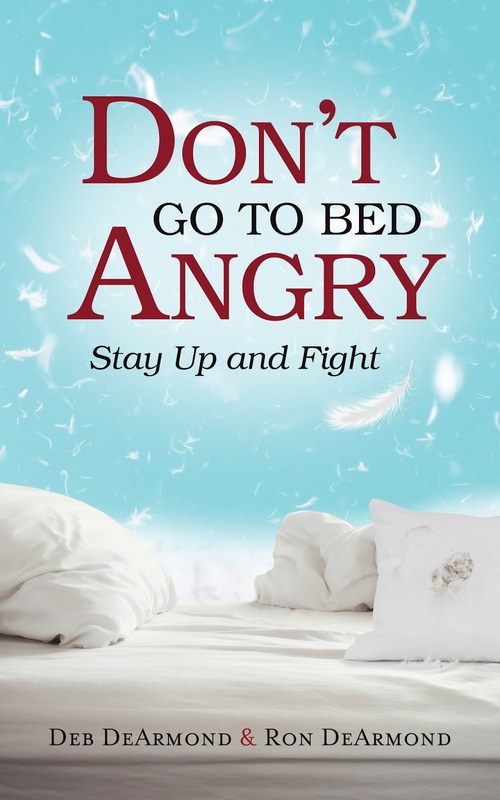 Her writing explores marriage, parenting, in-law and extended family relationships. She is the author of “Related By Chance, Family By Choice” and “I Choose You Today: 31 Choices to Make Love Last.” Deb is the founder of Living-Write, where she coaches aspiring authors. She’s monthly columnist and feature writer for Lifeway’s “Mature Living” Magazine, and has published more than 120 articles online and in print publications. Ron DeArmond has a hungry heart for the Word, and has studied the Bible for 45+ years. 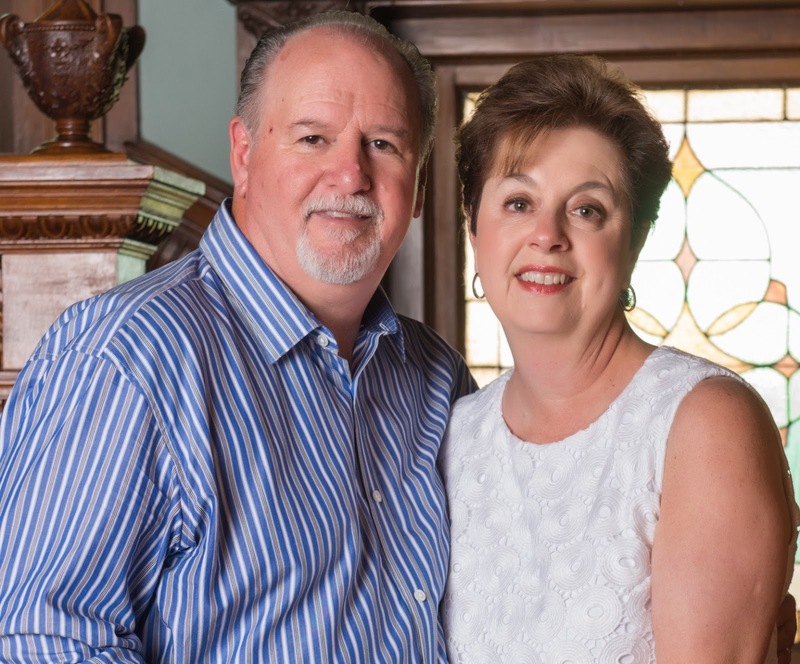 Ron’s call to serve men is evident in his previous ministry positions with Christian Men’s Network under Dr. Edwin Lewis Cole and Faithful Men Ministry. Ron is currently the Associate Pastor of men’s ministry at Catch the Fire/DFW and has ministered around the world. The DeArmonds live in the Dallas/Fort Worth area.